In Toronto, for several years I ran a reading series. One of the most interesting phenomena I observed was that if anyone began their reading by suggesting they were about to read a horror story, the effect on the audience was immediate. The listeners became defensive, they crossed their arms, leaned back in their chairs, began to frown. Now many of the listeners were themselves horror writers and so this wasn’t outright disapproval for the genre as one might expect. These listeners were defending themselves. Their immediate, unified response was to distance themselves emotionally from the story. None of them wanted to be frightened. Except, of course they did. That’s why they were there. Readers, whatever they say, resist being affected. This is what I have learned, and this is what I found particularly interesting about Safran Foer’s quotation at the beginning of this essay: “Humorous is the only truthful way to tell a sad story.” There is a great deal of common ground between horror and tragedy. Both are affective genres. They provide access to an emotion that humans actively seek to avoid or repress in everyday life. And, as a result, one of the tricks I have found to tell a good horror story is to trick the audience into thinking they aren’t reading a horror story. One way of tricking the audience is through the use of dissonance — that is, by telling the reader the story as if it weren’t a horrific story at all. Like Jonathan Safran Foer says: don’t tell the sad story as if it’s a sad story. Robert Shearman’s “Granny’s Grinning” is one of the creepiest stories I’ve ever encountered. It follows a girl who receives a suit for Christmas which allows her, as long as she’s wearing it, to transform into a real zombie. This story deliberately adopts the casual, colloquial voice of a rather snotty teenaged girl. The language throughout is simple, but there’s lots of very long-running sentences that build-up a fast pace to the narrative. The passage — and most of Shearman’s writing — is also chock full of jokes. The opening, with its rapid back-and-forth embedded dialogue is basically brimming with Sarah’s disdain for her little brother, her disdain for everything, really, but zombies most of all. So what does this opening do? It disarms — and it does so by using the voice of an everyday relatable character, almost a cipher really for every teenage girl ever; a simple, colloquial style; embedded jokes; long sentences that adopt a regular, lulling pattern. Shearman tends to write in very long, blockish paragraphs, and one of the effects of this is that rather than drawing attention to every emotional turn, he masks the drama. It’s a very clever bit of sleight-of-hand because you pass through the narrative so quickly that you don’t realize exactly what’s happening until you start stumbling over something that deliberately breaks the rhythm. “Granny’s Grinning” is playing a very deliberate game with the reader. What promises to be a story about zombies shifts to a very ordinary family drama in which the family must prepare the house to be just right for Granny who, recently widowed, holds the family’s financial future in her hands. The reader gets distracted — both by the quotidian tone and by the everyday nature of the story — up until Sarah puts on the zombie suit she so clearly disdained in the opening paragraph. Because Sarah was disdainful, and because the jokey tone of the narrative allows the reader to take her disdain for granted, we are lulled into thinking of the zombie suit as a purely harmless device. The story delivers its chilling and very sinister conclusion at the moment when the story’s central gimmick — a toy zombie suit that turns you into a real zombie — gets twisted around on itself. As readers, we have been thus far encouraged to laugh at Sarah struggling with her clumsy, decomposing body at the dinner table, but as the narrative progresses we suddenly have to confront the horror of the concept of a little girl turning into a dead body, a concept Shearman exploits even further when Sarah, zombified by this specially made suit, is delivered to lonely old Granny who desperately misses her dead husband . . .
What works in this story is the dissonance between the comic tone, which presents the horrific element as a gag, and the slow reveal that things aren’t as funny as they seem. Jokes work exactly the same way. They require speed. They require preamble to set the tone. Take the classic “Baby in a Blender” joke. How many babies fit in a blender? Depends on how powerful the blender is! For the space of the joke, we are willing to hold in our heads two competing thoughts: firstly, that there is some level of reality to what is being said, that the joke takes place in our universe, say, according to laws of logic we understand (i.e. if we put a baby in a blender and press “pulse” then something bad will happen to the baby); secondly, we are willing to accept some level of unreality to what is being said, that this doesn’t refer to a real event and that no babies have actually been blended. The humour comes out of the uncomfortable clash between those two lines of thought: the violence flickers in and out of vision. But say someone told you a long anecdote about putting a baby in a blender; say someone described the baby, told you about the baby’s parents, and made it clear that he knew this baby, he had met this baby, this baby was a living, breathing, pooping little creature that someone shoved into a blender . . . then it becomes a different kind of story, doesn’t it? If we think on this joke longer and more carefully, if we remove it from the framework of the joke — which requires both speed and a kind of preamble to establish the necessary mood — then what do we get? We get a horror story. It is amazing how little it takes to move a reader out of his or her comfort zone, and the curious thing about dissonance is how tremendously powerful it becomes when bad things start to happen in disarming, cheerful narratives. Chris Morris, in his tremendously disturbing Channel Four sketch show Jam, has a wonderfully gory skit in which a man attempts to commit suicide by throwing himself off a building. But rather than throwing himself off the twentieth floor, he decides to throw himself off the first floor twenty times. The skit is both terribly funny and terribly horrific because what Chris Morris does so effectively — in this skit and in so many of his skits! — is that he presents something that could be a joke, and then he essentially slows down the response time and forces the watcher to spend longer and longer with the discomfort. Suicide is uncomfortable; the image of jumping off a building is inherently upsetting, but it’s also an image we’re fairly used to being able to dismiss with the inevitable cutaway. But Morris doesn’t let the watcher off the hook. The watcher starts off laughing, but the laughter eventually slips away . . .
What Jam demonstrates is how powerful distortion is as a tool for creating dissonance. This kind of clash between opposing worldviews, this kind of dissonance, is not only a function of introducing a non-realistic element into an otherwise realistic world. It can also be achieved by disrupting the logic of the narration itself; by slowing the narration when it might otherwise speed up; by speeding up where it might otherwise slow down; by presenting as funny an element that might otherwise be horrific or allowing to be horrific an element that might otherwise be funny. Writing straightforward violence is easy, but it seldom produces much sympathy or affect. But come at it sideways and a scene can come alive. Think of, for example, the way in which Tarantino used “Stuck in the Middle with You” to choreograph the brutal torture scene in Reservoir Dogs in which Mr. Blonde cuts off the ear of Officer Nash with a straight razor. A story works in the same way as a joke does, and also in the same way that a magic trick does: through misdirection and sleight of hand, by lulling readers when they are most tense, by changing the rules just when they feel most secure, and by playing scenes against type. Tonal dissonance, the difference between the attitude of the narrator and the attitude of the reader toward the events unfolding, is extremely powerful. There’s a very thin line between shock and release, between sad and funny — and the good writer knows how to dance across that line to achieve the greatest emotional impact. 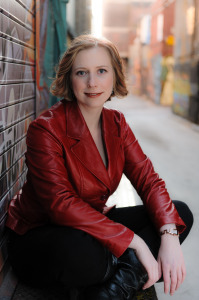 Helen Marshall is an award-winning Canadian author and editor. Her debut collection of short stories, Hair Side, Flesh Side (ChiZine Publications, 2012), was named one of the top ten books of 2012 by January Magazine. 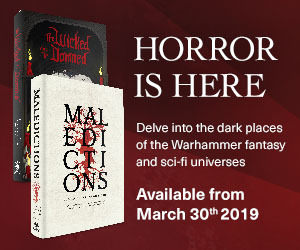 It won the 2013 British Fantasy Award for Best Newcomer and was shortlisted for a 2013 Aurora Award by the Canadian Society of Science Fiction and Fantasy. Her second collection, Gifts for the One Who Comes After, was released in September, 2014. She lives in Oxford, England where she spends her time staring at old books.